Cory was born and raised in Sacramento, CA. He received his training from Sacramento Ballet and Northern California Dance Conservatory. He has performed at the prestigious Jacobs Pillow Summer Festival in Beckett, MA, and toured throughout Germany, Italy &amp; Austria with the Young Tanszommer performance group. In 2010 he was awarded first place senior soloist at Youth American Grand Prix in San Francisco. 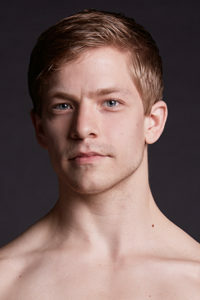 Cory has been featured by EBC in such ballet’s as A Midsummer Nights Dream, The Great Gatsby &amp; Carmina Burana. As well as Stephanie Martinez’s Wandering On, Val Caniparoli’s Tutto Eccetto il Lavandino &amp; Amy Seiwert’s White Noise. He returns for his sixth season with Eugene Ballet.